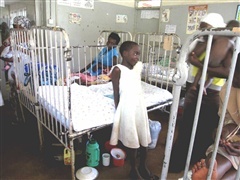 Jinja hospital is the largest hospital in Eastern Uganda, with 600 beds. It is the Regional Referral Hospital for eight surrounding districts and is also an Internship Hospital, where graduates of Ugandan medical schools can undergo a year of internship under the supervision of consultants and specialists in the designated medical and surgical disciplines. The vision of the hospital is to be a regional centre of excellence in providing specialised and general health care, improve access to the hospital, to conduct training and research and improve the quality of service for the people of the Busoga region. Departments: Emergency/Trauma Medicine, General Medicine, (Intensive Care), Obstetrics & Gynaecology, General Surgery, HIV/AIDs, Infectious Diseases, Acute – Internal Medicine, Paediatrics, Public Health, Dental, Opticians, Orthopaedic Surgery, Psychiatry. Kilembe Mines Hospital is a general hospital of 200-bed capacity serving Kasese in the beautiful western region of Uganda beside the Rwenzori Mountains. Close to the mountain gorillas, the Rift Valley and many National Parks, the hospital has been in action since 1952, when it arose as a medical facility supporting the mine workers, and has been serving the general community ever since. The hospital strives to be an excellent health provider of preventive, curative and rehabilitation services. Kilembe Mines prides itself on having become an orthopaedic hub in the wider Kasese region. It aims to improve the services provided by working proactively with doctors and research centres globally. Donors and volunteers continue to be needed to support and assist this growing hospital and the community outreach surrounding it, as at the moment patients have to pay a small fee for services and there is a staff shortage. 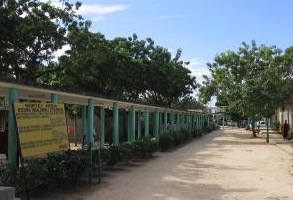 Departments: General OPD, Eye Clinic, Lab, Dental, Immunization, Radiography, HIV/AIDS Clinic, Antenatal, Physiotherapy. In Patient – Maternity ward, Children ward, Surgical ward, Medical ward, Theatre. The Amana hospital is one of three district level hospitals built in each of the three districts that comprise the city of Dar Es Salaam. Although not the capital, Dar is the largest city in Tanzania. The Amana Hospital serves the approximately 1 million inhabitants of the district of Ilala, Temeke and Kinndoni. Most of the patients that attend this hospital are referred from small health centres and smaller private hospitals whilst some patients come straight from home. The hospital is well known for maternity, they have an average of over 80 deliveries per day. The hospital also treats a lot of general medical cases prevalent in Tanzania, whilst benefiting from certain modern resources such as radiology.